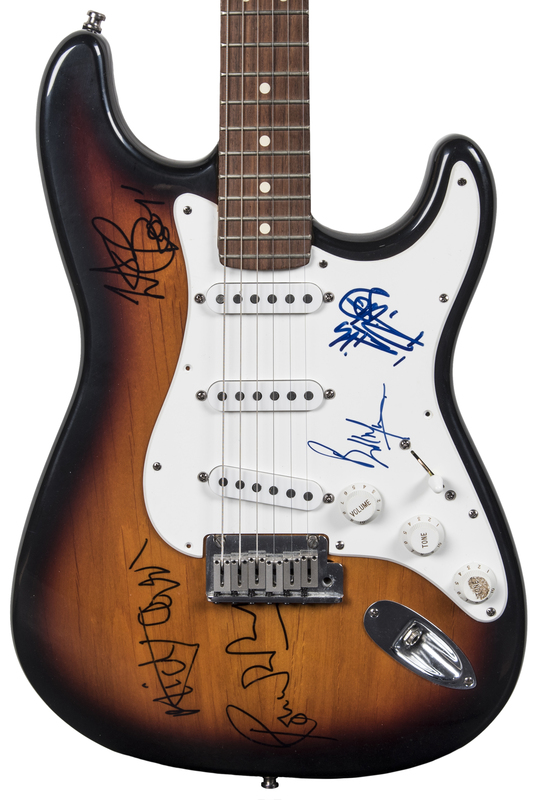 This sunburst-patterned American-made Fender Stratocaster guitar has been signed by Mick Jagger, Keith Richards, Charlie Watts, Bill Wyman, and Ronnie Wood of the Rolling Stones. 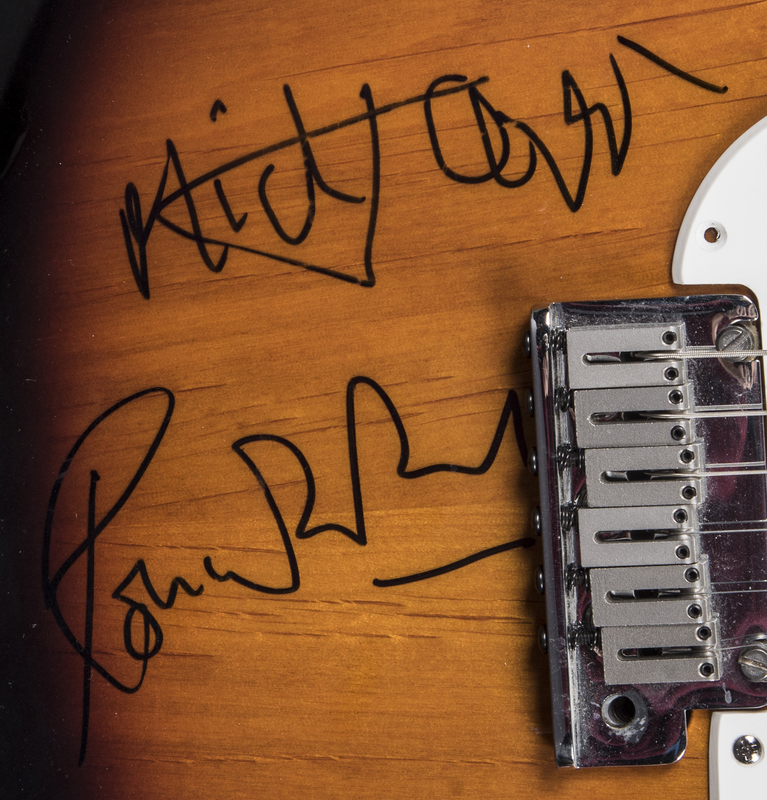 Emerging from the British blues rock craze of the early 1960s, the Stones have become one of the most enduring, iconic, and influential bands in the history of rock music. 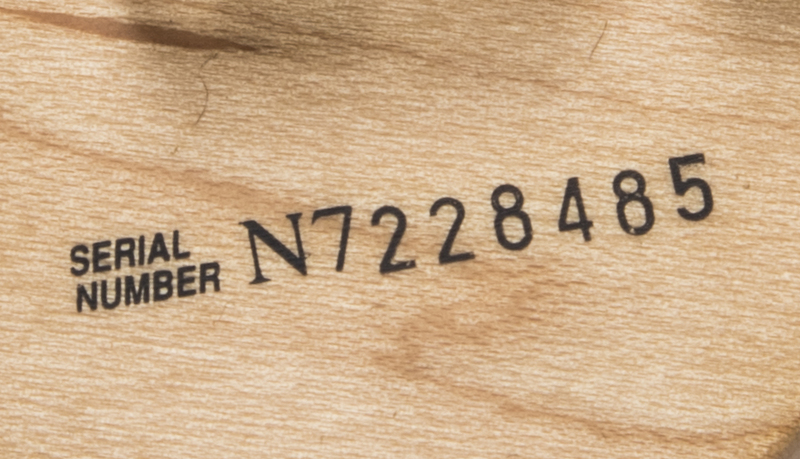 Almost 60 years after the Stones debut they are still touring, selling out shows across the globe as more and more people gravitate to their timeless music. 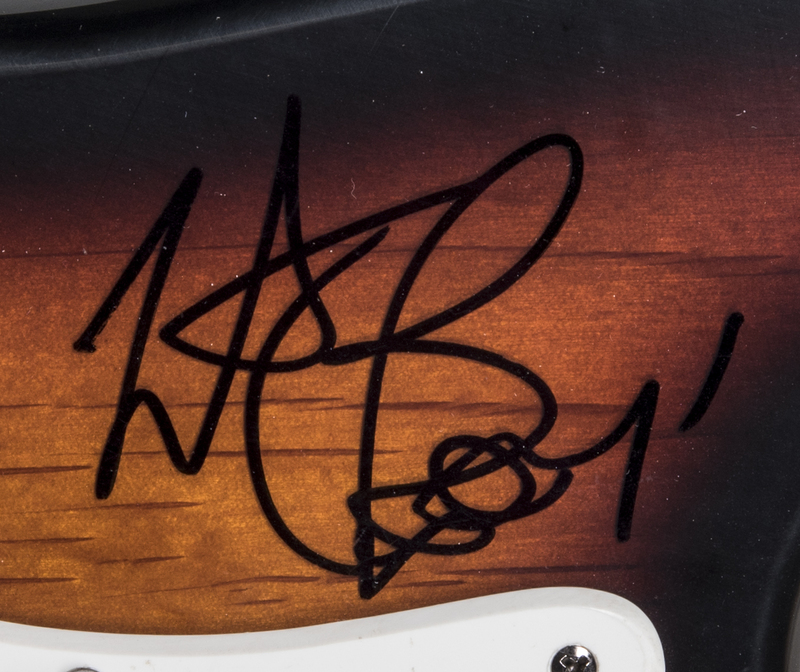 The signatures of Bill Wyman and Keith Richards are located on the white pick guard of this Fender guitar. 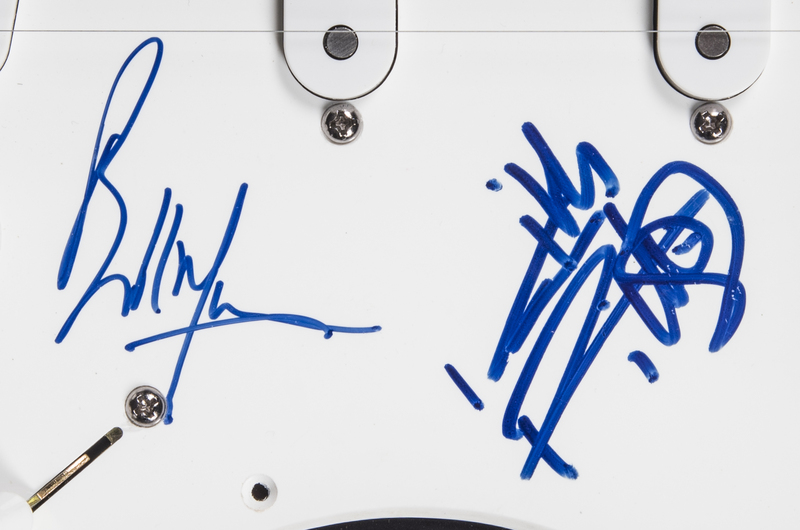 Mick Jagger’s, Charlie Watt’s, and Ronnie Wood’s signatures appear surrounding the pick guard, with all five John Hancock’s penned in blue marker. 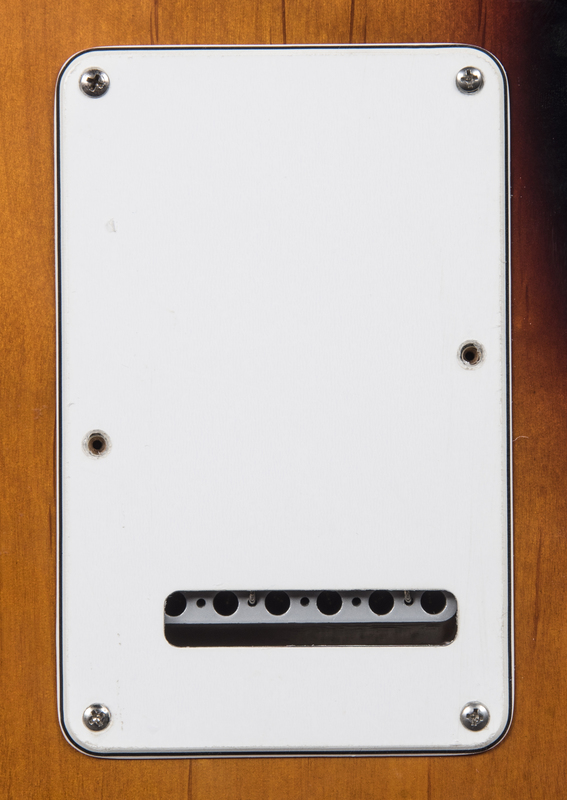 This guitar is in great condition, with all six strings attached and no significant damage. 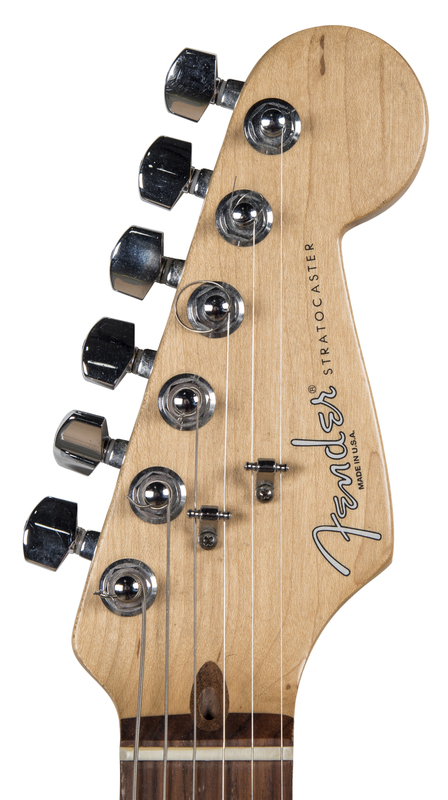 The remnants of an adhesive are present on the lower tone dial, however this has no noticeable deleterious effect on the Stratocaster. 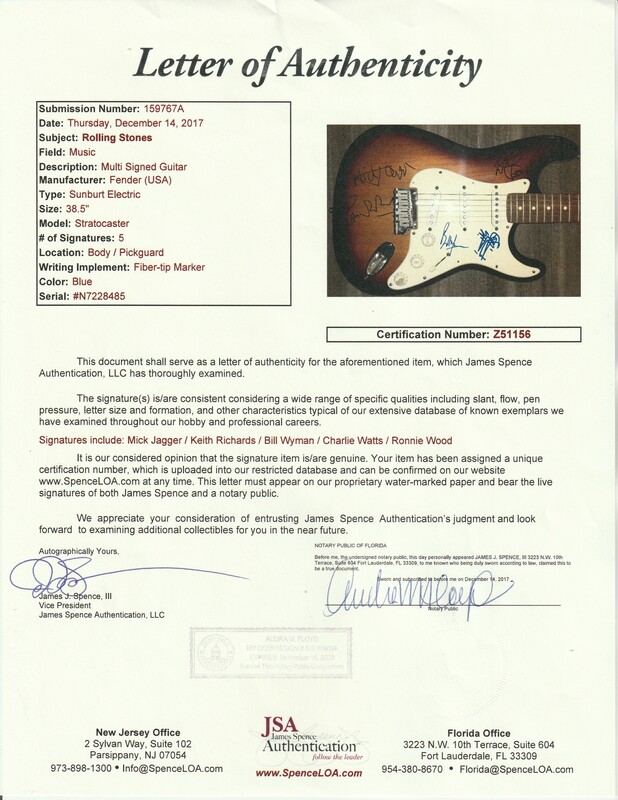 This guitar comes with a LOA from JSA (Z51156) covering all five signatures.